I've gone on the record saying this before, but it must be repeated: even as a 24 year old alt girl, I can still recite every line of "Tearin' Up My Heart" while driving in my parent's car. What can I say? Even a decade and a half later, *NSYNC lyrics remain permanently imprinted on my mind. But, when you break it down and really analyze as a grown up woman-thing instead of a giggle pre-teen, have you ever noticed that there's some definitely questionable things about *NSYNC songs? Not BAD questionable, necessarily! Just questionable in a way that no fifth grader would ever get, because how can a fifth grader understand love, even in bubblegum pop trappings? So I did the research guys, no need to think me. I subjected myself to some of *NSYNC's most popular tracks (oh, the agony) and tried to decipher what the hell was actually going on in each song. And while there aren't any "Hit me baby one more time" or "you gotta get with my friends" kinds of kerfuffle, there were a few things worthy of a double take. So here are my expert dissections of six of your old time favorite NSYNC songs. Something about this feels very friend-zoney in retrospect. Obviously, *NSYNC is hanging out with this girl (yes, the whole band), but they don't understand why they can't be lovers. (Yeah, "lovers" is the very specific, slightly gross term being used.) So it hasn't gotten physical, there's a lot of talk about "want," and I'm just starting to think this is more of a song about blue balls than hearts. Maybe not, though — because does Justin Timberlake REALLY look like the guy you'd put in the "friends" category? First of all, can we just take a moment to look at this confusing video? Is it about like... a mom? A World War II mom? Moms in general? Being in love with a World War II mom? I have no idea. My only question is, what if the World War II mom you love is an atheist, *NSYNC? What then? Black-and-white video *NSYNC is my favorite *NSYNC, I have to say. There's nothing truly outrageous about this track — overall it's a boss song — but you have to wonder... what could've *NSYNC done to their girlfriend (their mutual girlfriend, that they share) that caused this break up? 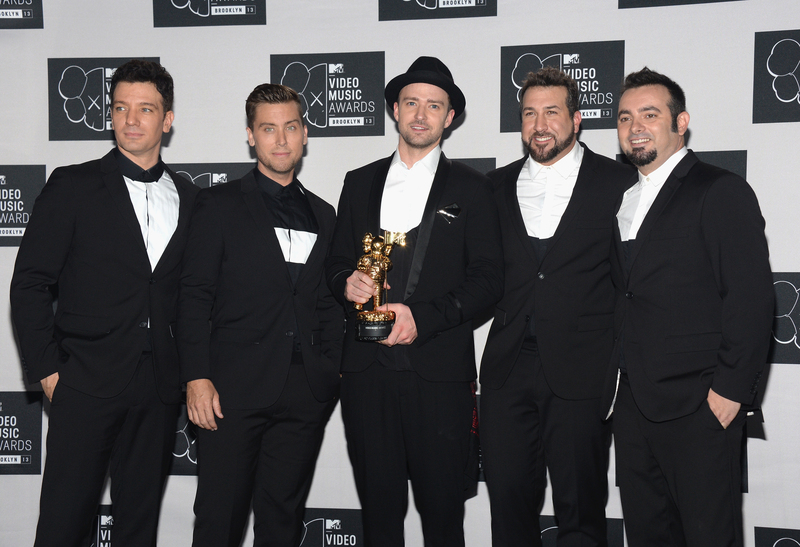 Because you shouldn't have messed in the first place if she's all you ever wanted, *NSYNC! You know what? If a girl has been hurt countless times by men, I would be really wary of the guy who's like, "I've been treating you really well, so you're gonna date me next and you have no choice in the matter. SORRY, I DON'T MAKE THE RULES." "The thing you got to realize, what we doing is not a trend." *NSYNC broke up like a year after this song came out. So, there's that.